All the developmental processes occurring in plants involve growth. The growth of plants involves various changes such as the addition of new cells through cell division, an increase in its size and weight, and an irreversible increase in the volume. Therefore, we can define the term growth as a permanent and irreversible change in the size of a cell, organ or whole organism usually accompanied by an increase in its dry weight. The plant growth is influenced by a variety of external and internal factors. The former include light, temperature, water, nutrients etc. while the latter includes genetic and hormonal factors. As far as the plants are concerned there are two major effects of light on them, one related with photosynthesis and the other with growth and morphogenesis. The effect of light on the growth, development, and differentiation in plants independent of photosynthesis is called photomorphogenesis. For example, If a plant is allowed to grow in complete darkness, it shows marked etiolation (i.e. phenomenon exhibited by green plants when grown in darkness). 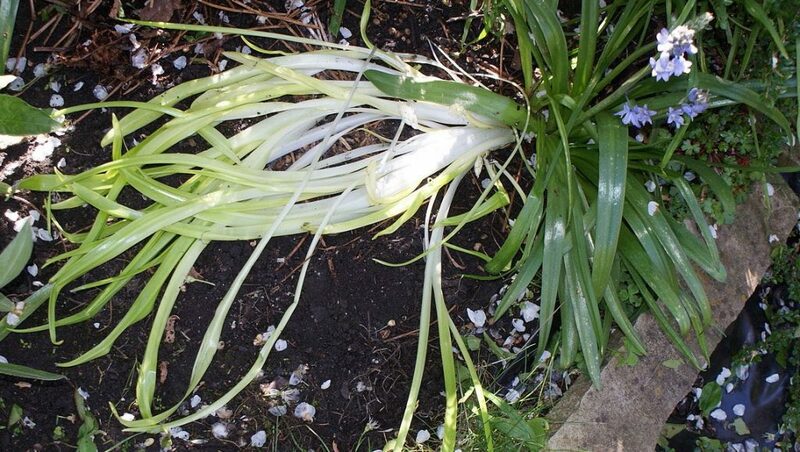 The seedlings grown in dark are pale, elongated with primary leaves unexpanded and yellow. On the other hand, the seedlings grown in light are sturdy, green with shorter internodes, expanded leaves, and upright apex. These effects are in response to light only because nutritional and other environmental conditions were identical in both. Spanish bluebells, showing etiolation in both flower and leaves. Besides this, most of the processes in plants are controlled by light. For example; reproduction, seed germination, the growth of seedling, and differentiation in various tissues and organs. Temperature is a primary factor affecting the rate of plant growth and development. Plant growth is the result of cellular metabolism and processes. Since the metabolic activities of plants are directly affected by the variation in temperature, the growth rate is also influenced. The rate of growth of plant tissues increases with the increase in temperature up to optimum levels, after which it declines as the temperature becomes extreme. The temperatures for optimal growth vary with the type of plant. Some annual flowers and vegetables are extremely sensitive to cold whereas some plants require a cold treatment in order to stimulate flowering in later stages. Germination of seeds in plants is also affected by extreme temperature conditions. Some seeds of winter season crops germinate at 5ºC to 25ºC while seeds of summer crops germinate at 10ºC to 35ºC. Thus, in the spring, cool soil temperatures may prohibit seed germination. We all the know the significance of water in plants growth. Water is necessary for virtually every function of plant growth. It is used in photosynthesis and other metabolic processes and then ultimately lost by transpiration. Excessive transpiration or water deficiency in the soil causes water stress in the plants. The plant growth is considerably retarded during water stress, but sometimes excessive water also stops the growth of the plant. Shortage of water damages plant cells, resulting in decreased growth, wilting, and leaf scorch, and eventually leaf drop and root damage. Whereas, too much water reduces the amount of oxygen in the soil, resulting in root loss or injury. It can also make the plant more susceptible to many fungal diseases. 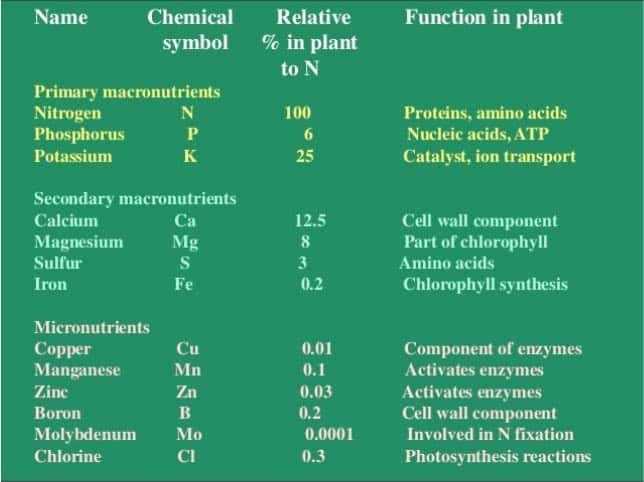 Plants require nutrients in the form of inorganic ions for normal growth and development. Almost every metabolic process in plants requires inorganic nutrition. Thus, the growth of plants greatly depends upon the supply of these essential elements. In the absence of these elements, the plant growth gets retarded. They obtain inorganic nutrients from the air, water, and soil. For example, carbon and oxygen are obtained from carbon dioxide and hydrogen from water. They also absorb a wide variety of mineral elements from the soil. For example, nitrogen, phosphorous, potassium, calcium, magnesium, iron, zinc, boron etc. Various Mineral Nutrients required by plants for normal growth and development. Essential elements perform several functions. They participate in various metabolic processes in the plant cells such as permeability of cell membrane, maintenance of osmotic concentration of cell sap, electron transport systems, buffering action, enzymatic activity and act as constituents of macromolecules and co-enzymes. In addition to temperature, water, and inorganic nutrition, the growth and differentiation of plants also depend on some plant hormones. These plant hormones are also known as plant growth regulators. They regulate the distribution and fate of nutrients in different organs of the plant body. Plant growth regulators are broadly divided into two groups based on their functions in a living plant body. One group is involved in growth promoting activities, such as cell division, cell enlargement, pattern formation, tropic growth, flowering, fruiting, and seed formation. 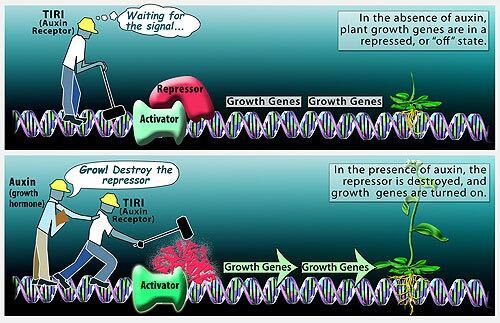 Auxin is growth promoting plant hormone and plays a vital role in the growth of plants. The other group is involved in various growth inhibiting activities such as dormancy and abscission. They also play an important role in plant responses to wounds and stresses of biotic and abiotic origin. 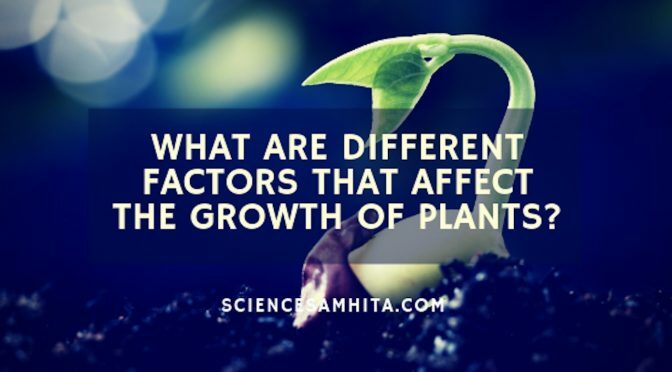 Thus, these hormonal factors play a major role in the growth and differentiation of plants. The seed of mango germinates to produce a mango plant, it never grows into a palm tree. Similarly, a tomato seed gives rise to a tomato plant. All the information about the form and shape of the plant body and the specific pattern of growth and differentiation in plants are stored as genetic information in the genes located inside the cell of a seed. As the development processes begin the genetic information is passed from genes to RNA to proteins within the cells. Some very specific genes are responsible for the synthesis of specific enzymes (proteins) which then catalyze specific biochemical processes that are necessary for growth and differentiation in plant cells. Kaushik, M. P. Modern Botany. India: Prakash Publications, 2014. Print. “Effect Of Temperatures On Plant Growth”. Ukessays, 2018, https://www.ukessays.com/essays/environmental-sciences/effect-temperatures-plant-growth-8273.php. Previous PostHow does a Tadpole change into a Frog?Next PostWhat is Soil? How is it formed?